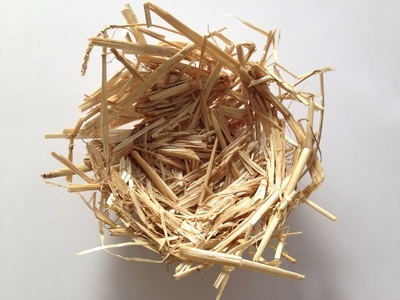 Here's how to make your own bird's nest out of straw. 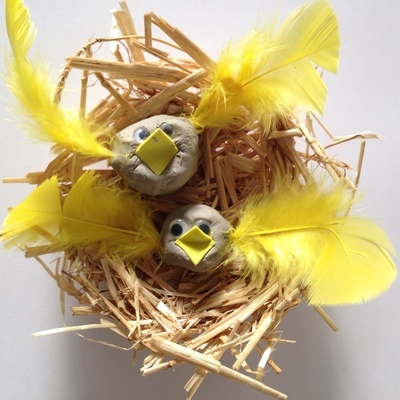 It's perfect for Easter time to display chocolate eggs - or why not create your own little chicks for your nest? Time: 15 mins plus 24 hours drying time. Bowl to mix the straw and glue. 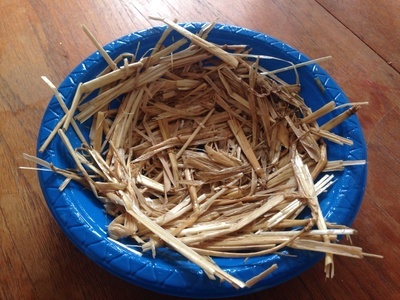 Mix straw with plenty of PVA white glue in a bowl. Make sure that all of the straw gets well covered in glue. Take a handful of the straw/glue mix and press it into the bottom and sides of another bowl. Press the mix down well. Leave to dry for around 24 hours. It's worth going back to press the mix down again a few times as it's drying to make sure it doesn't spring up. 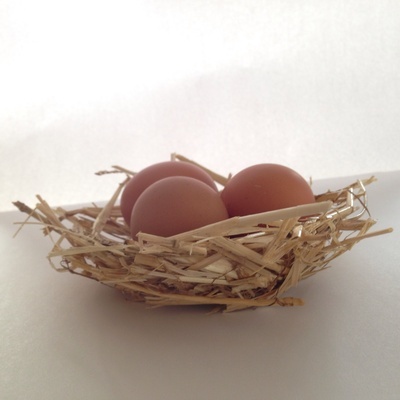 Once dry, carefully peel the nest out from the bowl. 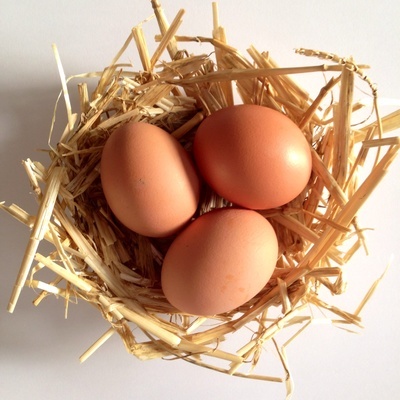 Add your chicks or chocolate eggs to the nest.